Besides the city of Seattle itself, the Puget Sound area offers many desirable choices in terms of communities. “The Eastside”, which is across Lake Washington from Seattle, includes the communities of Bellevue, Kirkland, Redmond, Sammamish, and Issaquah. Mercer Island sits in the center of the lake, between Bellevue and Seattle, and to the northeast lie the towns of Bothell and Woodinville. Each of these communities offers something different when it comes to neighborhoods and businesses. Two floating bridges connect Seattle to the Eastside, so residents travel easily back and forth to take advantage of everything both sides of the lake have to offer. Taking a look at the city of Seattle and some of the neighborhoods closest to the downtown area. With Andrea Savage, Vice President of Marketing at Realogics Sotheby's International Realty. Framed by breathtaking views of the mountains, boats crossing the sound and the cityscape itself, Seattle was recently voted the top skyline in the U.S. City living offers a vibrant and convenient lifestyle, as both residents and visitors indulge in iconic Emerald City destinations complemented by diverse neighborhoods with active communities marked by pea patches, dog parks and friendly faces. Among the fastest-growing cities in the U.S., the downtown area is home to an abundance of urban corporate campuses and the majority of Seattle’s job growth, with headquarters of Fortune 500 companies including Costco, Amazon, Nordstrom, Expedia, Alaska Airlines and Starbucks, among others. It also serves as the Investment Capitol of the Northwest, with many international investment opportunities. The light rail expansion provides anunprecedented connection from the SeaTac Airport through to the top-rated University of Washington campus. Stay in town and explore hidden stairways, splash at South Lake Union’s waterfront park, revel in the view from Seattle’s Great Wheel or head to the Olympic Sculpture Park for lunch on the northern edge of the Belltown waterfront. When residents are eager to escape city life, they find tranquility in a short ferry ride or catch a seaplane to explore surrounding islands. With some of the top ranked schools in the nation, West Bellevue is home to the most sought after neighborhoods in the state. It is the financial center of the Eastside, where a host of elite companies define a variety of lifestyles, from esteemed and exclusive waterfront locations to lively downtown condominiums. West Bellevue is the heart of renowned dining and entertainment options that include world-class shopping at The Bellevue Collection, Lincoln Center, and the Shops at the Bravern where Neiman Marcus and Jimmy Choo may be found. Many of the state’s wealthiest residents call West Bellevue home, including Microsoft co-founder Bill Gates, Amazon.com CEO and founder Jeff Bezos and Costco co-founder Jeff Brotman. The most notable destinations include Medina, Yarrow Bay, Clyde Hill and Hunts Point, where waterfront estates with their own private docks give way to stunning, view retreats. Kirkland and Juanita are vibrant, walkable, healthy, outdoor focused areas with access to the waterfront from nearly every approach. Though Kirkland is often described as a community with a charming downtown and affluent reputation, the real appeal is found in its lakefront location. Occupying a large stretch of Lake Washington’s eastern shoreline, a number of beaches and waterfront parks paired with the twinkling lights of Park Lane in the evening make for an incomparable atmosphere for visitors and residents alike. After a day on the Lake, park your boat dockside as you indulge in a delicious meal. Home to Eastside innovation and start-ups including Google and Tableau, it is no surprise that Kirkland was voted one of the best cities in the U.S. in 2015. Juanita is a waterfront community in its own right, with restaurants, art galleries, and sandy beach public parks where residents are often found engaging in a game of volleyball. 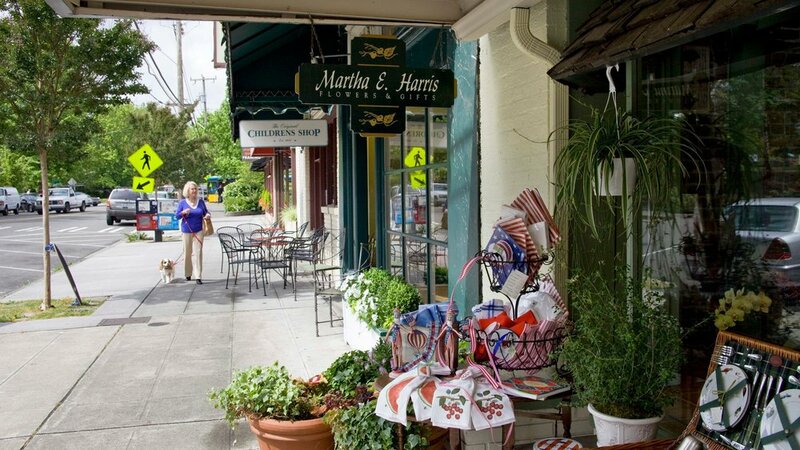 Both areas are home to a number of seasonal and annual events, from charming farmers markets and art walks to holiday celebrations and parades. Located within the award-winning Lake Washington School District, revel in an excellent recreation program with close proximity to two wonderful State Parks: Saint Edward and Bridle Trails. In Madison Park, stately vintage estates and charming tree-lined streets hearken to the city’s rich historical past yet live for today with vibrant shops and restaurants. Breathe in the fresh air and revel in lush greenery from Volunteer Park’s conservatory and arboretum. Head to the Asian Art Museum for dynamic, ever-changing exhibits. In the warmer seasons, beloved public beach parks draw hundreds of locals and visitors to their sandy shores for aquatic adventures. After a day out on the Lake Washington’s waves, tie up at a guest dock for shorefront dining. East Bellevue is one of the fastest growing parts of the greater Seattle region. Its international climate is attracting employers and talent from all over the world, particularly those within the technology industry. Bellevue’s beautiful scenery and fusion of urban amenities with suburban lifestyles makes it a top destination for those seeking an energetic, active life with the convenience of location. Bridle Trails is a point of interest for those with an equestrian passion, as the area boasts acres of residential properties with pastures and trails, in addition to an extensive trail system for equestrian and pedestrian adventures at the 482-acre Bridle Trails State Park. As a cherished Seattle neighborhood for years, residents enjoy a unique sense of community and close proximity to downtown Seattle, the shores of Lake Washington, and the I-90 corridor connecting east with west. As a hidden gem neighborhood, Leschi, is marked by treasured mid-century homes. Named for Chief Leschi, the neighborhood initially served as entertainment for the nature-minded, where hunters and boaters came for a haven. Today, residents and visitors enjoy a hip, upscale lifestyle in the urban core in popular destinations from Daniel’s Broiler to the Dreamcatcher art installation. A neighborhood just east of the University of Washington. Some of its homes sit on the shores of Lake Washington, and all residents have the opportunity to join the private Laurelhurst Beach Club, park, and community center. Children’s Hospital is also located on the edge of this community. A relaxed neighborhood with a small-town feel and a true sense of community. Lying just south of Madison Park on the shores of Lake Washington, the area features winding roads, beautiful trees, a waterfront park, and its own small, upscale business district. An established neighborhood on the shores of Lake Washington, just south of Madison Park in Seattle. Many of the homes in this area have views of Mt. Baker to the North, the Cascade Mountains and Lake Washington to the east, or Mt. Rainier to the south. While it is surrounded by Lake Washington, Mercer Island is far from insular. Located between Bellevue and Seattle affords an easy commute to either the east or west side. Waterfront homes are marked by their own private docks for aquatic adventurers to voyage out on a boat or paddleboard. Because of its island character, there is a strong sense of community as “Islanders” take pride in the small-town atmosphere, tranquil and woodsy ambiance. Education is paramount to the community at large, as Mercer Island’s top-rated public school system is ranked second in the state. Its most famous resident is Paul Allen, co-founder of Microsoft. Though it is home to the wealthiest zip code in Washington state, residents and visitors enjoy friendly, community oriented events year-round. A residential neighborhood that lies just north of the University of Washington and the Laurelhurst neighborhood. Bordered by Lake Washington to the east and by beautiful Magnuson Park to the north, many homes in this area offer panoramic views and enjoy quiet streets. There is also a private park here with a beach, ball field, tennis court and playground. An elegant gated residential community near the shores of Lake Washington in east-central Seattle. It is bordered by the community of Madison Park, the Washington Park Arboretum, and The Broadmoor Golf Club, a well-established private country club. The area offers easy access to downtown Seattle as well as to the Eastside via the nearby Highway 520 floating bridge.